Official Synopsis: "As it escorts two robot grain ships to Sherman's Planet, a world ravaged by crop failures and famine, the Enterprise breaks course to track a Klingon battle cruiser that is pursuing a one-man scout ship. When the Klingons fire on the smaller vessel, Kirk instructs Scotty to beam out the pilot, but the Klingon blast decalibrates the integration parameters. Using a dangerous new weapon — a projected stasis field effect that disrupts ship's engines and weapons — the Klingons fire on the Enterprise and cripple it. "Klingon Captain Koloth hails the Enterprise and tells Kirk that the man caught in the decalibrated transporter beam has committed an act of ecological sabotage, and threatens to take him by force. Kirk sends the two grain ships on a ramming course for the battle cruiser, and Koloth's attempts to stop the other two vessels drains too much of their power, though one grain ship is damaged. "The crisis averted for a moment, Kirk moves to the transporter room, only to discover that the rescued pilot is trader Cyrano Jones ... and he's brought piles of puffy pink tribbles with him! Jones claims that he's had the tribbles genetically engineered so that they don't reproduce, making them 'safe.' He also shows them a tribble predator known as a glommer, and tells them that he inadvertently sold the Klingons some tribbles, thus causing the 'ecological sabotage' to which Koloth referred." The original series episode "Trouble with Tribbles" is one of my favorites because of it's perfect balance of humor and tension. Plus, Mr. Spock petting a Tribble is one of his best moments. Originally, it was planned to be a live-action episode for the series, but was dropped and picked up by the animated show. This is where the Animated Series shines because it was able to take ideas from the show they couldn't do and make them work. Plus, it answers the question: whatever happened to Cyrano Jones? Would you want an Unbreakable sequel? Are DC movies more realistic? Do you think Fraggle Rock should come back? How awesome is Weird Al Yankovic? Would you watch Neil deGrasse Tyson's new show? What do you think of this week's links? That drone is pretty wild. The Play-Doh movie - really? Would they like to make the Etch-A-Sketch movie next? 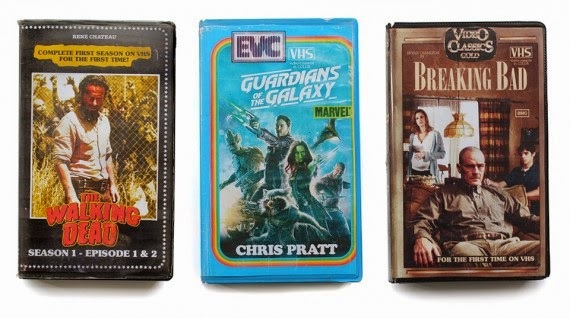 Can you imagine how many tapes you'd need for every Breaking Bad or Walking Dead? You'd need a crate to have them delivered. The Tribbles episode was pretty funny. 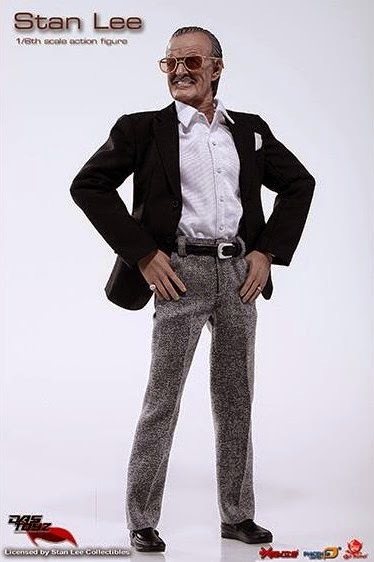 I want my Stan Lee doll, he can watch over me while I sleep or just need someone to talk too. FF15 it's still not grabbing me... everything else is swaaa'eeeet! Could we get a Play-Doh & LEGO crossover movie? If the Fantastic Four reboot could get Doctor Doom correct it might be worth a look at. Its always great hearing Cyrano Jones again, he really made this episode fun to watch with the help of our little pals.